From New York Times bestselling author-illustrator of the Llama Llama books comes a new character ready to dig his way into your heart! There's Loader and Dump Truck, Backhoe and Crane. They're ready to transform a vacant lot into a neighborhood park. And who wants to help most of all? Little Excavator! But are there any jobs for someone so small? 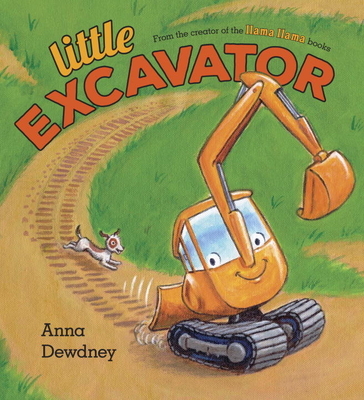 Anna Dewdney's signature rhyming text and inviting illustrations make this a perfect read aloud for for fans of things that go!